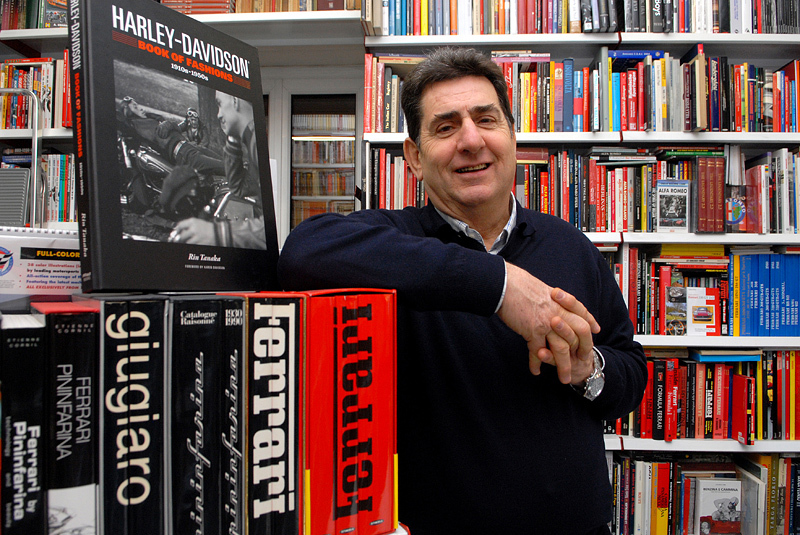 The Gilena International Motor Books" is the result of the passion and competence of Pier Luigi Foglieni, whose love for books and engines, has deep roots. As a child, when he wore the shorts, Gigi (so know him and his friends call him) enjoyed to race miniature cars along the streets of his city, Martinengo, in Italy. 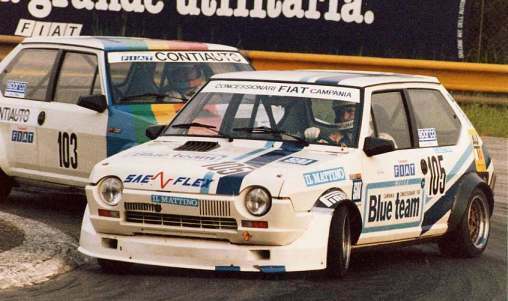 Then, very young he obtained three titles of champion of Italy, in 1980, 1981, 1982, driving the roaring Fiat Ritmo 60 and 65 Group 2, 125 Abarth group A, tuned by Trivellato. Pier Luigi ("Gilena") engaged in a nice countersteering with the Fiat Ritmo. In the meantime, he "made ​​his bones" in the field of books, as a seller of Fabbri Editore, then passed, through perseverance and initiative, the experience on their own. In 1972 he moved to Costa Volpino and in 1975 he created the "Gilena Diffusione Libro", becoming known in the Fairs of the sector. The great and never forgotten passion for cars and motorsports led him to specialize in this area and to be known and appreciated by customers growing number of enthusiasts of cars, motorcycles and models, in Italy and all 'foreign. Many are international events which he is protagonist. Always present with thousands of books, to the delight of many fans, invariably present at the exchange exhibitions of cars and motorcycles. From the Auto e Moto d'epoca Fair of Padua, Turin Motor Show, from Essen Techno Classica to Brussels Retro Festival, from Bern to Paris ... to meet the needs of loyal customers and affectionate. Gigi in the Gilena Bookshop in Brescia.